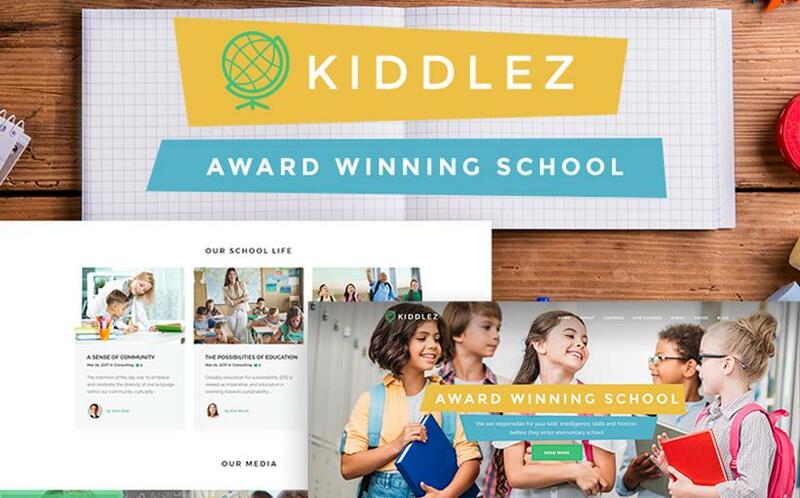 Are you looking for the best 15 WordPress education themes? Read this article to know about the best WordPress education themes for your business. It will help you to explore the business into another level. With so many affordable online learning resources available to educate ourselves, studentship can without a doubt become an easier period of life. Admit it, whether you provide online distance learning programs or access to the high-quality educational content, you need a website. And these 15 WordPress education themes can be the best solution you can use as a start. That's where a good-looking education WordPress theme will serve you well. This holds true if you feel you need to refresh education teaching and build a functional education website worth the effort. It doesn't matter how young or old you are, there's always more to be learned. Depending on what you want your students to educate on, there are lots of beautiful WordPress themes on any subject. This means that you can build a modern and professional e-learning website without touching a single line of code. Moreover, once your education website is up and running, your learning resource is accessible, anywhere and anytime. Without any headache of coding experience, your modern website becomes an interactivity between students and teachers. And that's all thanks to WordPress. Where to Find Best WordPress Education Themes? If you aren't familiar with WordPress, no worries, though, it's something you don't want to miss. Give it a try and create an education website that represents your e-learning resource best. It's an obvious point, there's a lot to consider before choosing among tons of School WordPress Themes. That's why we did our best and hand-picked here only the cream of the crop solutions for you. Thus, get a clear idea of your future education project as a refreshing and interesting activity for gaining necessary knowledge in this continuously changing world. Make sure, these 15 WordPress education themes are great to stick with the best ones to start with. Now you know, there's no stopping you when you want to create a modern education website without getting out of your comfort zone. Besides, while you're here, check out these sleek Moodle themes for your upcoming online project. Build a corporate, educational, or e-learning resource to stand out early in the game and make your own mark. What's more, keep peace in mind, with the collection listed below you get only the top-rated products ready to provide you with value, not simply create noise. Be the first who get your hands on these top-notch education solutions ready to help you create more exciting, engaging, and more effective e-learning process for your students. In the era of creativity and innovation, it's simply embarrassing not to have a website, especially when you want to encourage your students to go out and learn more on their own. So, fret no longer. Enjoy! 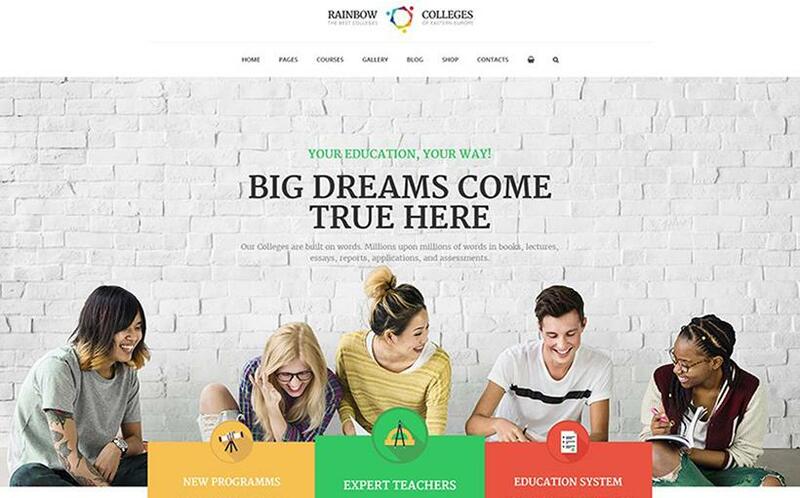 Take a look at Rainbow Colleges. 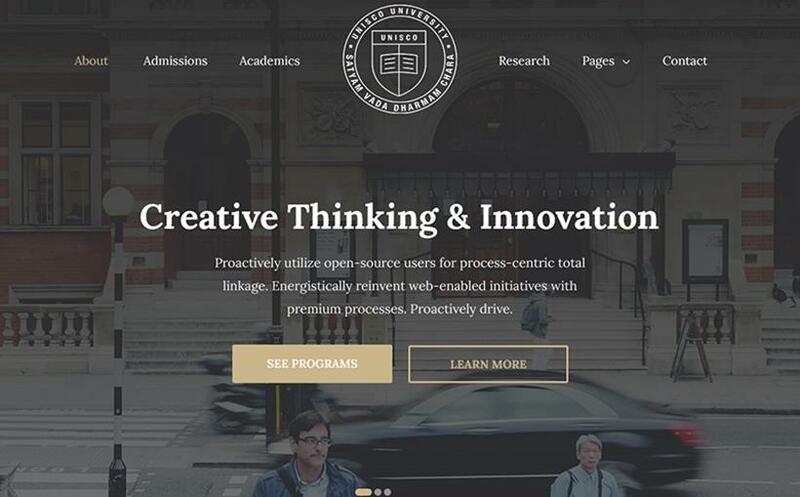 It's a clean and responsive WordPress theme that fits well for any educational establishment. Take advantage of its simplicity of updates, intuitive interface and lots of options for online learning. Edit and customize the theme as per your liking. Choose between wide or boxed versions, experiment with color schemes and start promoting your educational services. 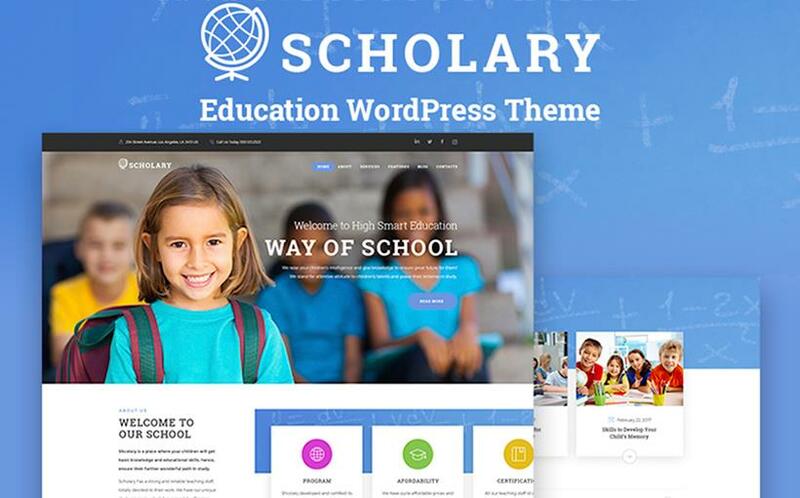 This amazing specimen of 15 WordPress education themes suits best for representing primary schools online. Enjoy its responsive and engaging design that looks sharp on a variety of modern devices. Start a blog to promote your services and effective e-courses. With a range of customization opportunities, there's no stopping you from achieving your every desire. Looking for a solid solution or your future education project? Give Longriver University a try. Developed under 100% GPLv.3 License, it allows you to use it on multiple web projects without any restrictions. Besides, jam-packed with the ultimate pack of Cherry plugins, it allows you to enhance the functionality of your e-learning resource. Build an eye-catchy education website in a time-efficient manner. Enjoy its stylish and responsive design, powerful Elementor Page Builder, a collection of high-quality images, and much more. Moreover, the theme is SEO-friendly, WPML ready, and Ecwid ready. Represent your education project and its necessary features with the help of a full-featured website. 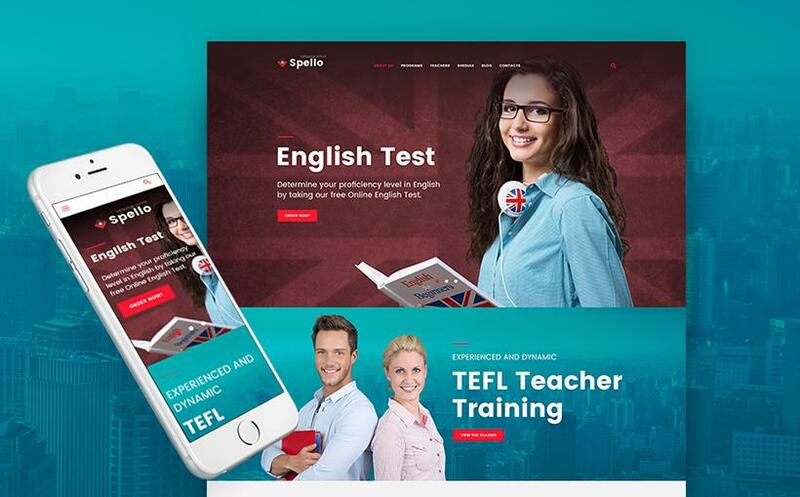 Don't miss a chance to build a professional education website within minutes. 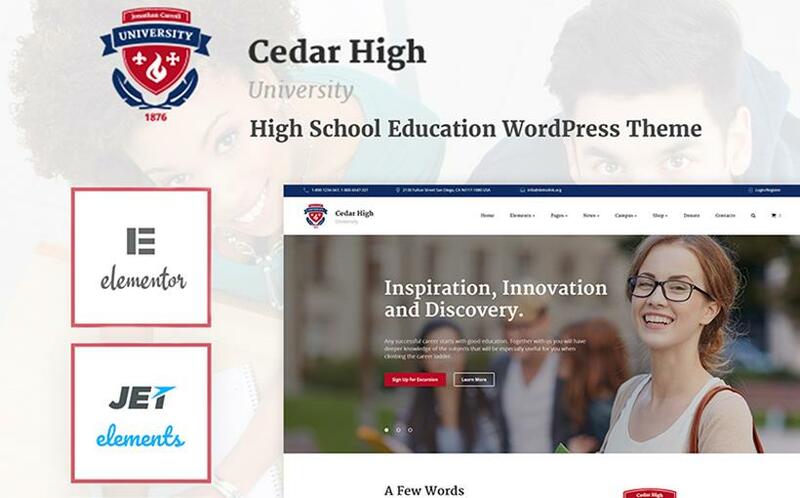 As a representative of 15 WordPress education themes, Cedar High is worth your attention. Crafted by professionals, the theme has the well-thought design which is easy to customize. Create new unique pages using the power of Elementor Page Builder without the headache of any coding. Bored of cluttered layouts and distracting elements? Go for Unisco University. Loaded with a plethora of customization options, eye-catching design, unlimited color schemes and a clean layout, Unisco is the theme to trust. Use this creative and minimalist WordPress theme to your benefit. Besides, it comes with MailChimp Newsletter Subscription form, Admission & Contact form, Full Calendar view for Events, and more. 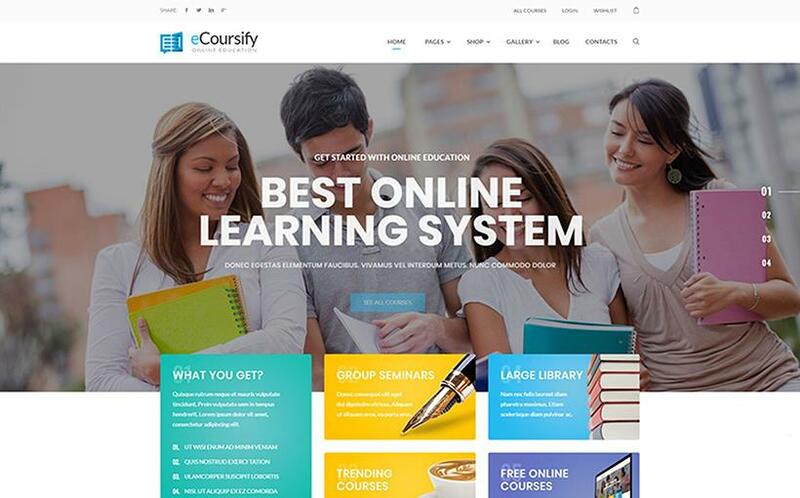 The thing is that eCoursify fits well for any educational establishment and e-learning online projects. This WooCommerce ready template allows you to start selling teaching and learning materials right away. On top of that, you'll find several useful pages like Courses, Teachers, Services, etc., predefined color schemes and easy installation. Its responsive layout adjusts smoothly to a variety of modern devices and screen sizes. 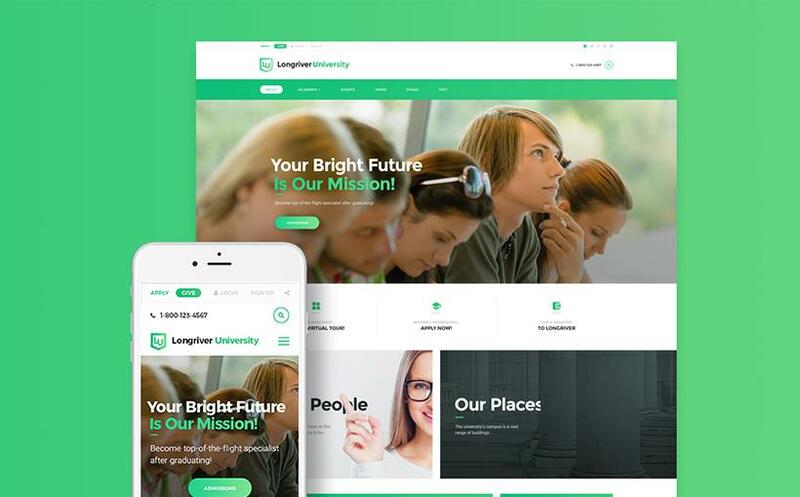 Need a special template for your future education website? 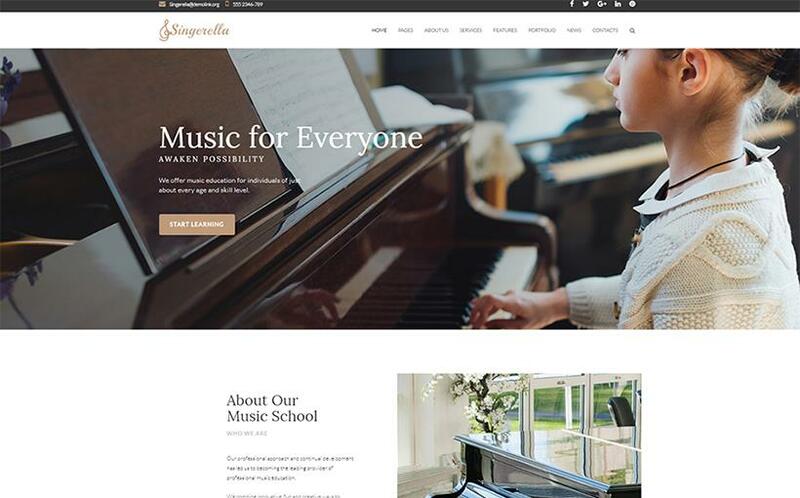 Singerella fits well for an outstanding music school website. Help your visitors find what they're looking for using thought-through MegaMenu. Start a blog to tell the advantages and philosophy behind your business. Well, the theme is WPML ready, SEO-friendly, and comes with several web forms. Consider Guiding Voice for creating your future web project related to coaching, training and other online learning activities. 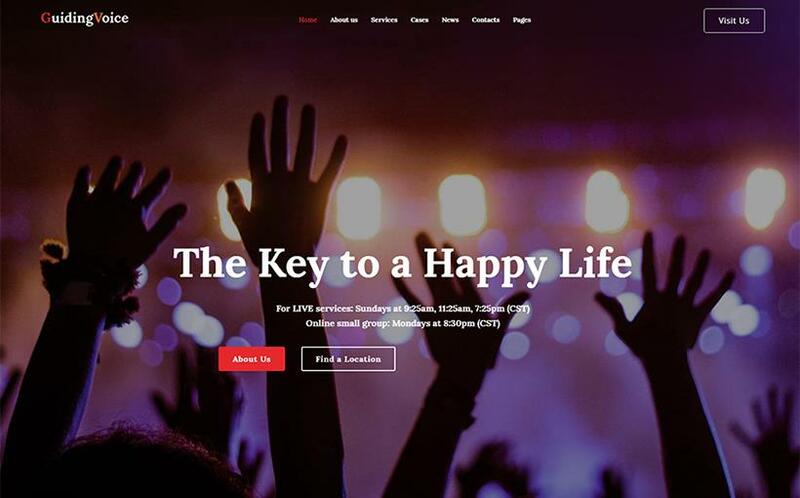 Build a modern and eye-catchy presentation of your project using this feature-rich WordPress theme. Crafted to fit the Google guidelines, Guiding Voice can help you reach the top of search results. It's time to promote your training skills efficiently. This 100% GPLv.3 licensed WordPress theme ensures a cutting-edge performance on all screen sizes and modern browsers. Crafted in accordance with the latest-web-standards, RoadLaw can help create a reliable appearance of your driving school. The theme features catchy animated counters, CTA buttons, blurb, countdown timers, pricing tables, and more. 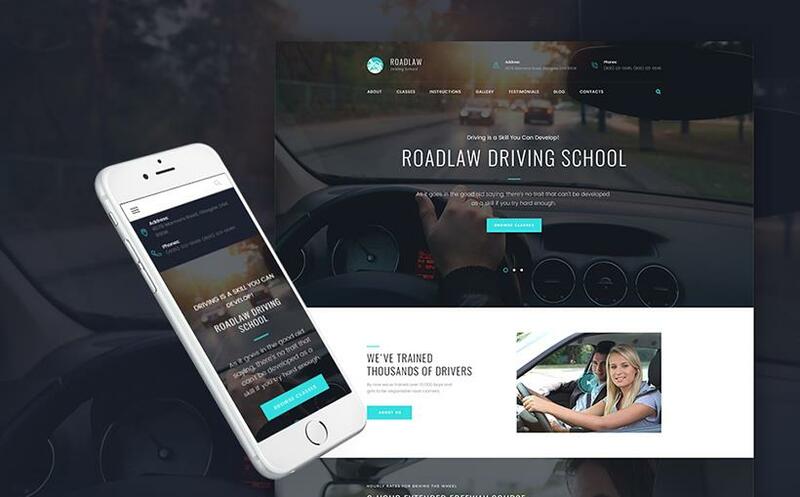 Grab RoadLaw right away to make your website look unique. You don't need to pay a fortune to create a perfect presentation of your language school. Get your hands on another attractive specimen of 15 WordPress education themes and break the ice. The theme is easy to install, edit and manage even if you're wet behind the ears in the web design industry. Bear in mind, the theme is 100% GPLv.3 licensed, Ecwid ready, and SEO-friendly. Emanuella makes it easy to promote and represent different types of dance classes you offer. If you're creating a dancing school website, fitness blog or a dance studio online, Emanuella is a perfect choice for you. Provide your visitors with your dance lessons schedule in a stylish way with a Timetable plugin. Add multiple types of content to your site using a variety of content modules. Have fun. 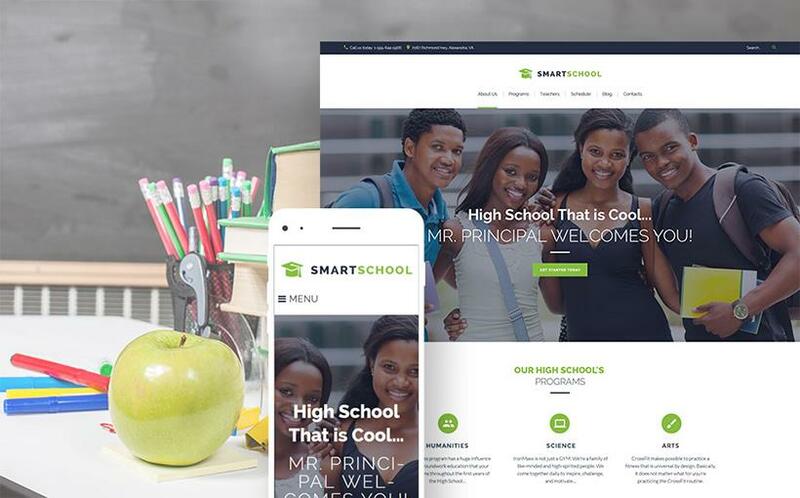 SmartSchool claims to be one of the best representatives of 15 WordPress education themes hand-picked here. Crafted for high school and university websites, it provides you with all necessary features you might need. In addition to your education programs, your visitors can check your teacher's crew, team members, or leave feedback. Besides, it comes with a Pricing Table plugin, wide range of UI elements, different header & footer styles, and more. 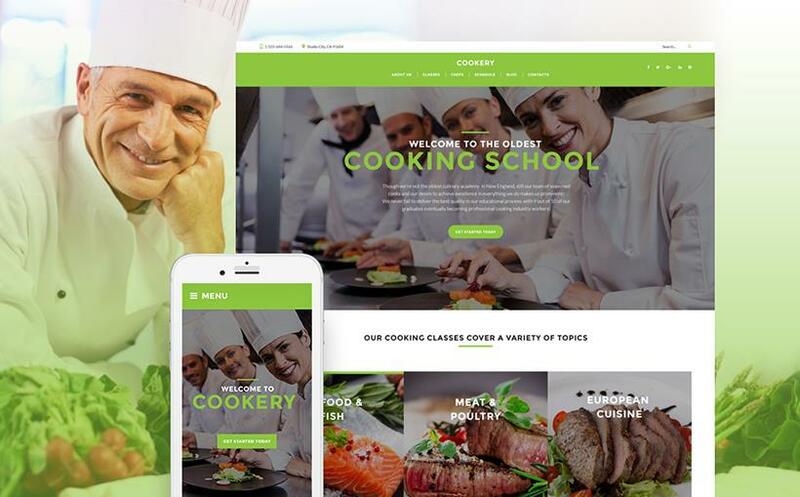 This cooking school WordPress theme is sure to satisfy your needs. Help your visitors master various popular recipes, techniques and cooking styles thanks to your attractive cooking school website. Enjoy this 100% GPL.v3 licensed theme on a variety of mobile devices and screen sizes. Its responsive design looks sharp on any modern browser. Besides, it's SEO-friendly, well-animated, Ecwid ready and designed by top industry leaders to provide you with the first-rate performance. 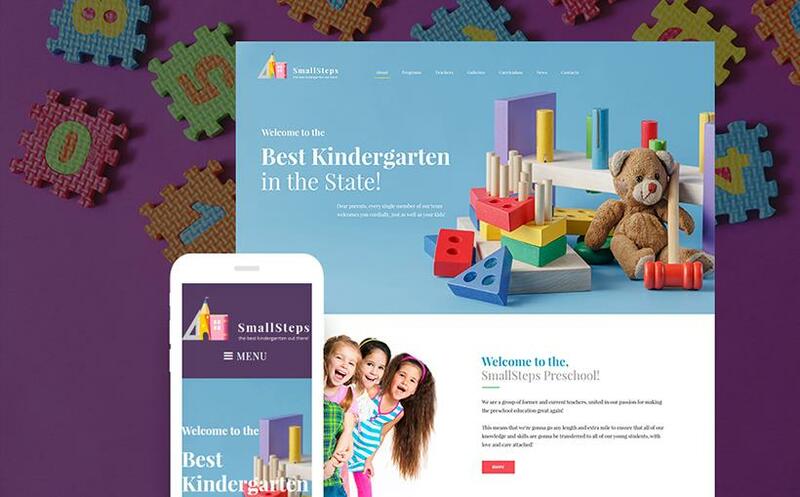 SmallSteps WordPress theme aims to help you get your new education website in no time at all. A powerful TM Gallery can help you represent all activities and services you offer in a more engaging way. With an Appointment Booking plugin, it's easy to request a consultation directly on your website. Explore the power of this flexible and easy to customize the template. Fret no longer and spread the word about your kindergarten. Well, that's it for 15 WordPress education themes worth your attention. so, would you like to take advantage of any of these top-rated templates now? Remember, it's a good idea to show what your business does. Don't skip the possibility to get your education web project up and running without having to hack into any code. So, stay tuned for more impressive designs.